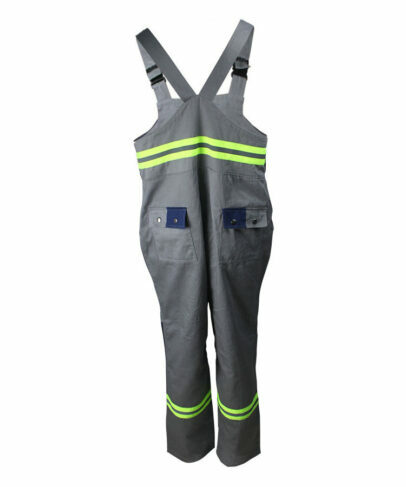 This winter flame retardant bib pants made of 300gsm cotton flame retardant fabric, and can meet EN ISO 11611, NFPA2112, EN 61482-1-2 and other standards. 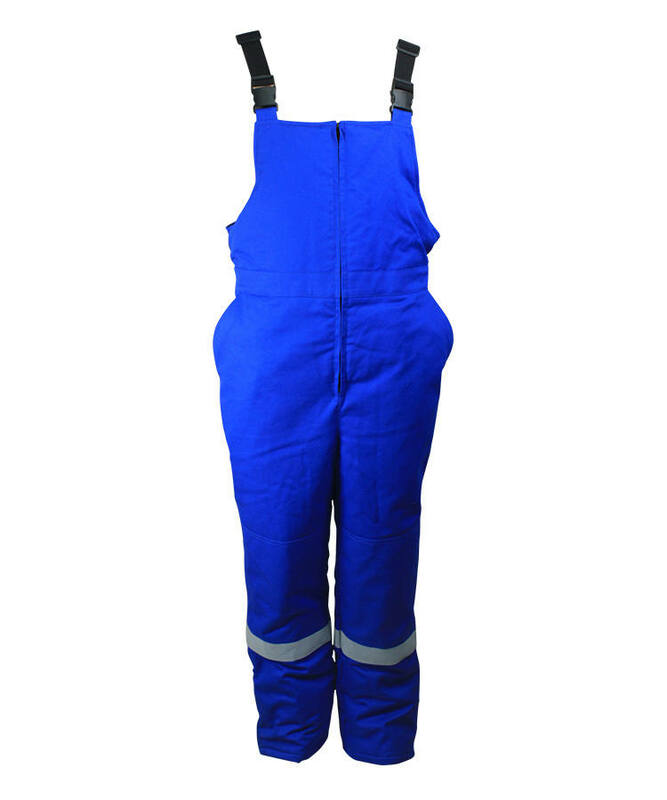 This winter flame retardant bib pants adopt good quality cotton fiber, have good strength, and great FR property, lower formaldehyde content, good strength, easy dyeing and dye bright color, soft touching, comfortable wearing. 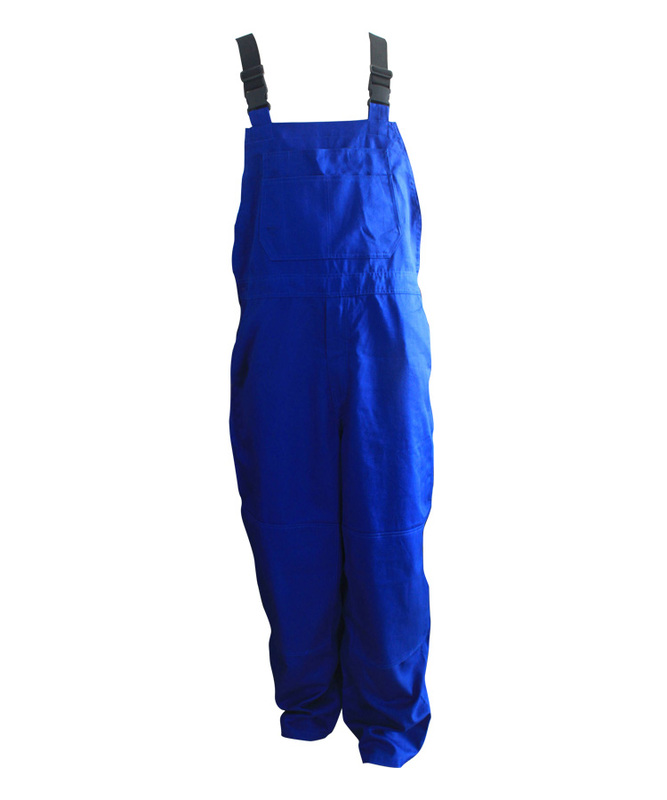 This winter flame retardant bib pants mainly used in steel making/ sealing/ explosion/ mining/ chemical/ electrics such industrial protection. Font bib double layer, inside big bib is combined by many combine pocket, can put as many tools as possible. 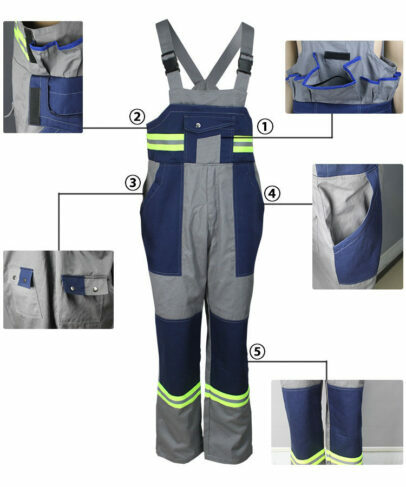 Out layer small bib pasted on the big bib by velcro, outside there is two in one contrast color patch pocket, closed by snap button, thus enlarge the space for tools. Patch pocket with flap on the hip, closed by snap button, flap use contrast color. 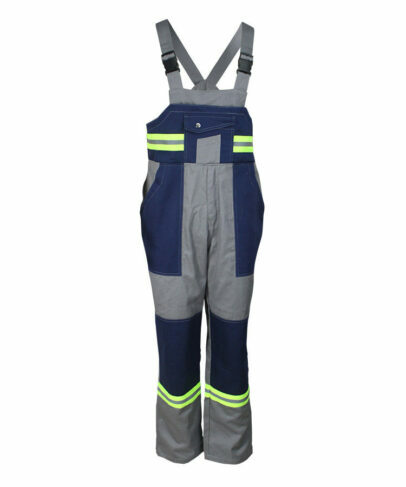 On the left and right side of the winter flame retardant bib pants, there is slant patch pocket. 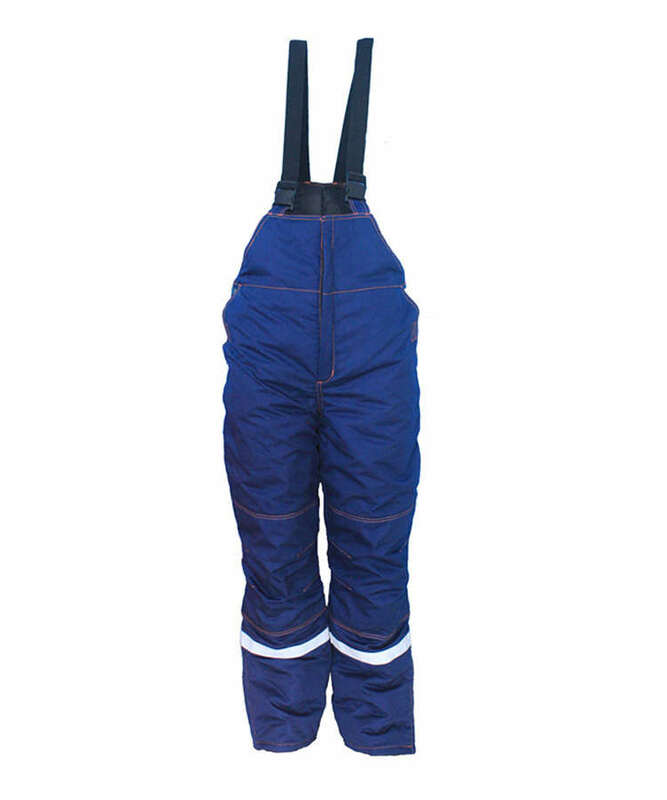 Slant pocket on each side of the winter flame retardant bib pants, add the abradability. In the front bib and leg there is hi-vis yellow alert tape. 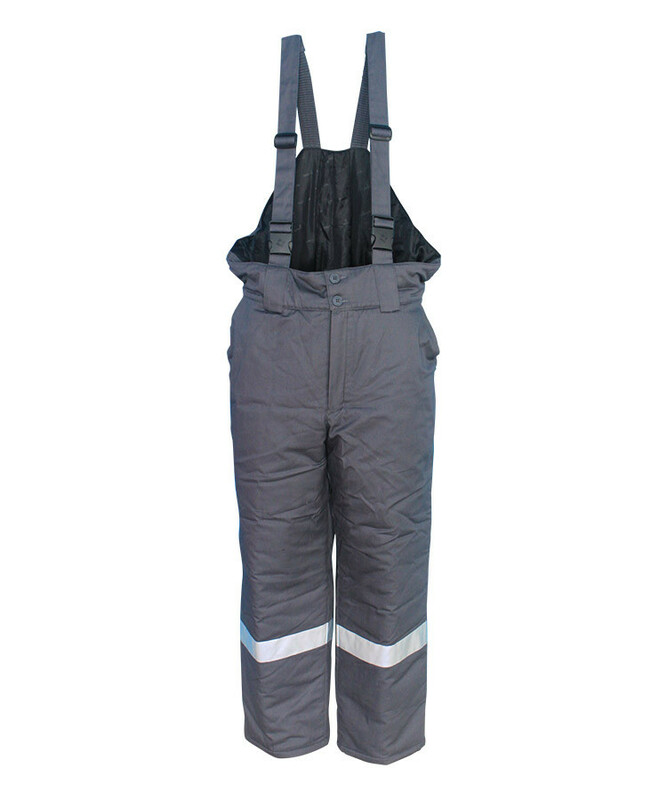 Front placket of the winter flame retardant bib pants closed by zipper. No elastic on the back waist, very relax. Bar-tack for all the forced parts, increase the fastness.